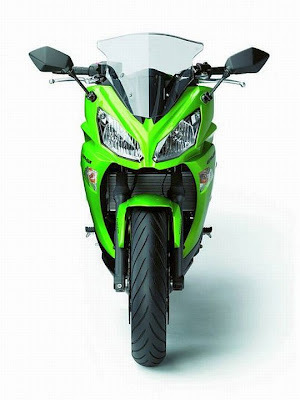 Kawasaki has revealed details of its new 2012 Ninja 650.. 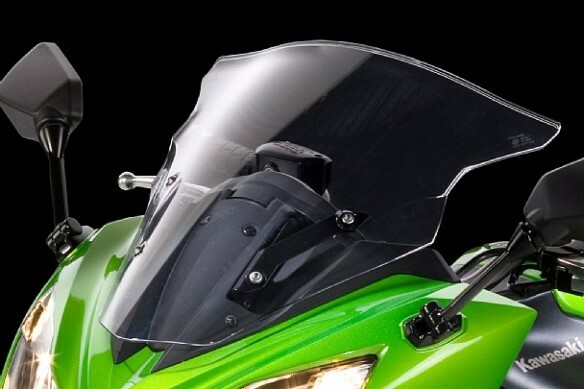 The "R" moniker have been dropped from the 2012 Ninja 650..!! 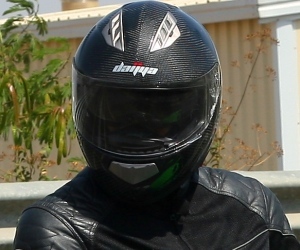 After my ride experience of the 2011 Kawasaki Ninja 650R, I was all praise for its smooth and torquey (parallel) twin cylinder engine and comfortable ergonomics. Kawasaki seems to have left the engine of the new 2012 Ninja 650 nearly untouched except maybe for slightly better midrange, which is a good thing as the engine on the Ninja 650R is a gem. 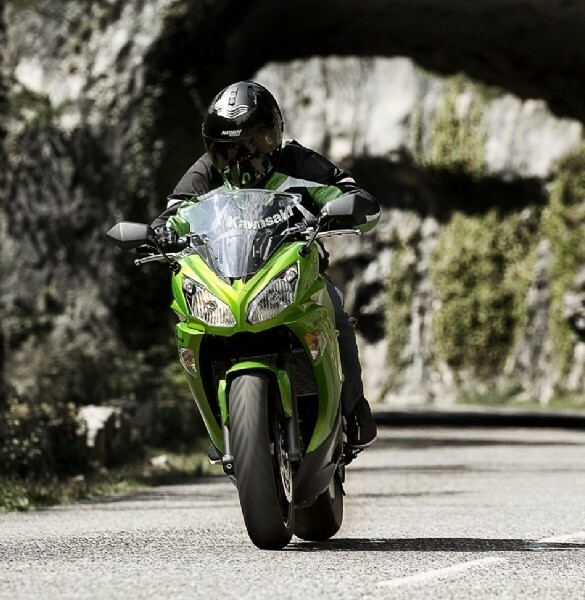 The aspects on which I felt the Ninja 650R lacked a bit was in its handling and braking department. 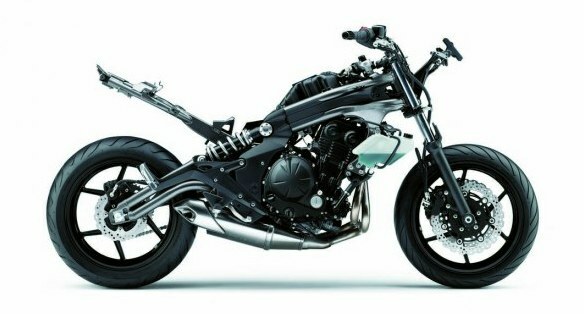 I had also found the styling towards the rear of the bike a bit simple/bland and not in sync with the rest of the bike. I am sure Kawasaki definitely must not have read my review and went about to bring out the 2012 upgrade of the Ninja 650, but it certainly looks like they have worked on the very aspects on which I had pointed out in my review. 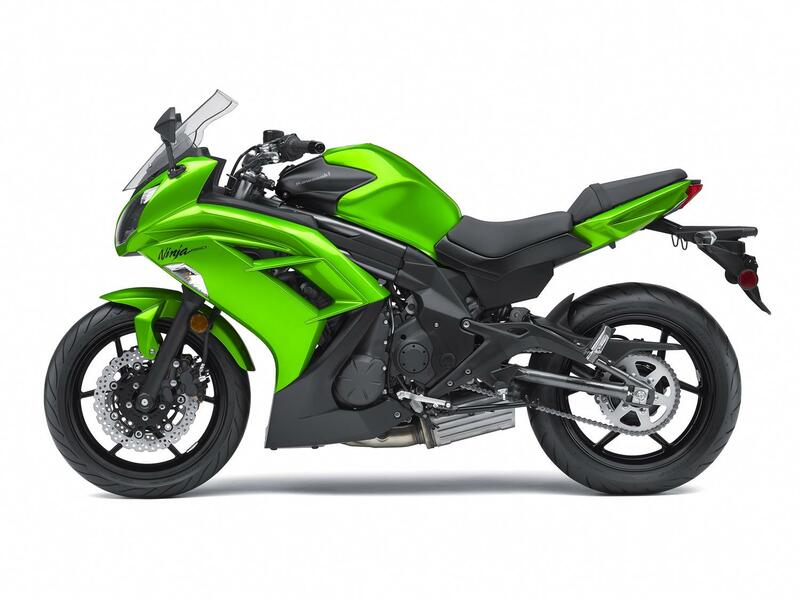 What’s new in the 2012 Kawasaki Ninja 650? 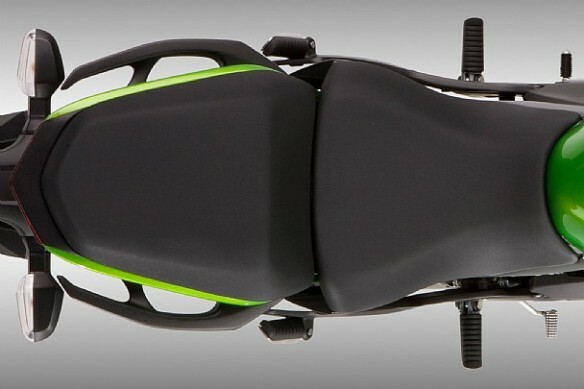 Although the split seats are the clear visible change, the entire bike has been redesigned. 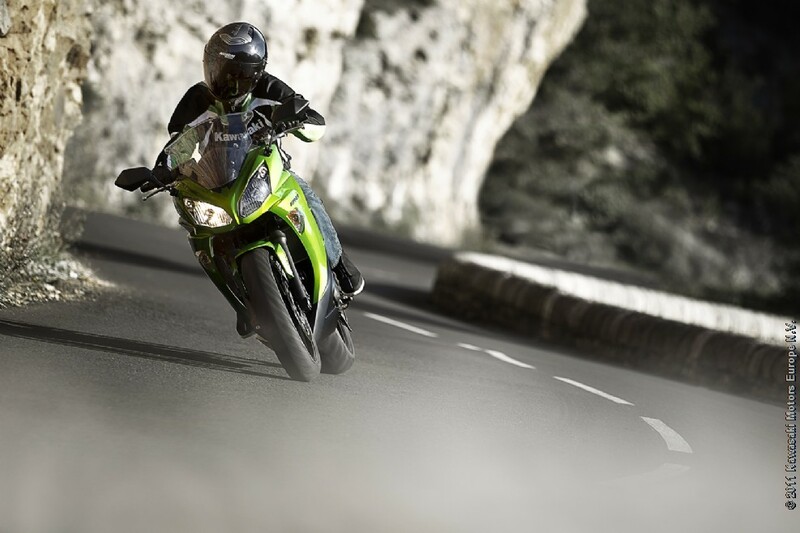 The front twin headlamps mimic the aggressive shape of the headlamps of the Ninja ZX10R. 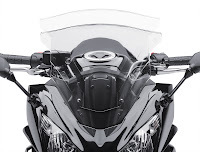 The full fairing with its pronounced slashes on the sides of the fairing and the multilayered detailing of the fuel tank are aesthetic touches concurrent to latest motorcycle designs. The tank itself has increased in height by 20 mm, this has been done to visually concentrate the mass of the bike towards the front. The simple looking LED Tail Light of the older Ninja 650R has been replaced by a new sportier design. 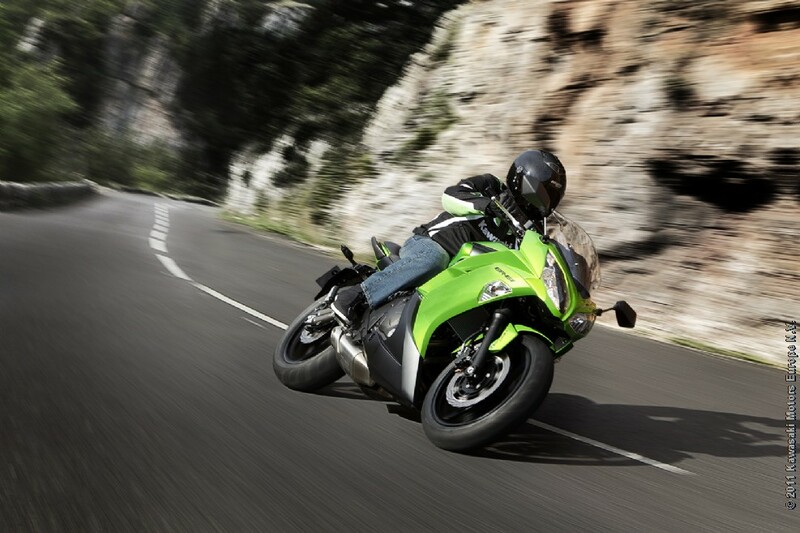 All in all, the 2012 Ninja 650 has been styled to give a sharper and sportier look. 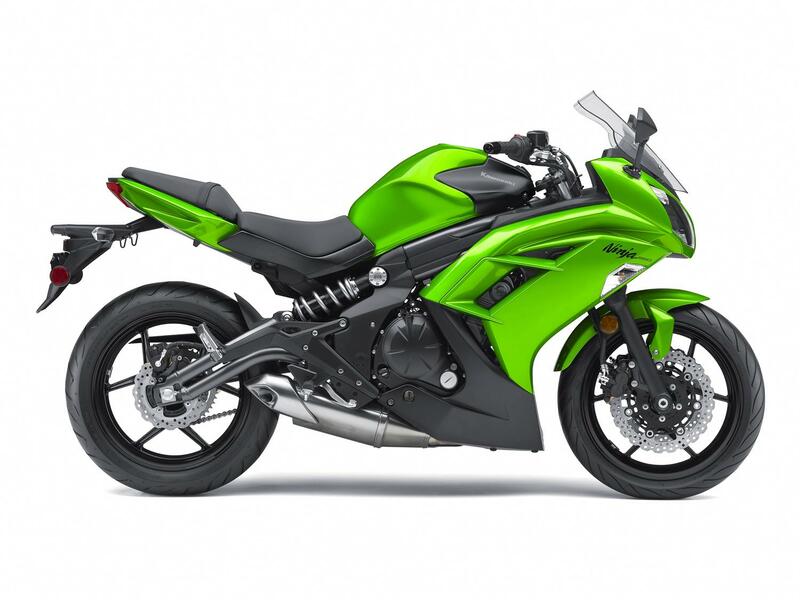 Personally I still think that the 2012 Ninja 650 could have been more proportional. But then styling is purely a subjective matter. The 2012 Kawasaki Ninja 650 has been given an adjustable windscreen which can be manually adjusted in 3 stages (total 60 mm). This should be a useful feature for long distance tourers to deflect the wind blast away. The 2012 Ninja 650 also gets a redesigned instrument console with a good old analogue tachometer (the earlier one has a LCD display for the tacho). The LCD panel is also backlit with white light to make reading the info easy at night. 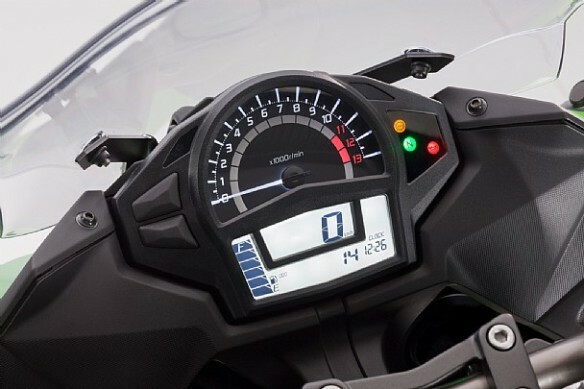 An Economical Riding Indicator (ECO) is included in the Ninja 650′s digital display. 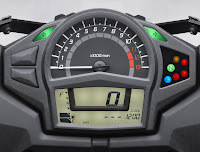 The indicator appears whenever the motorcycle is being operated in an economical fashion. 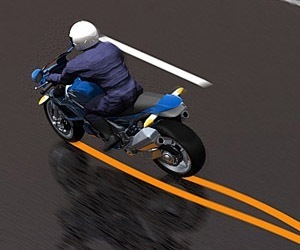 This convenient feature can help the rider to maximize fuel efficiency. 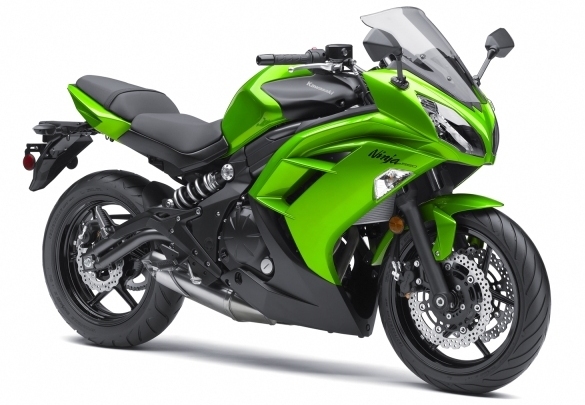 The real change to the 2012 Kawasaki Ninja 650 is skin deep. 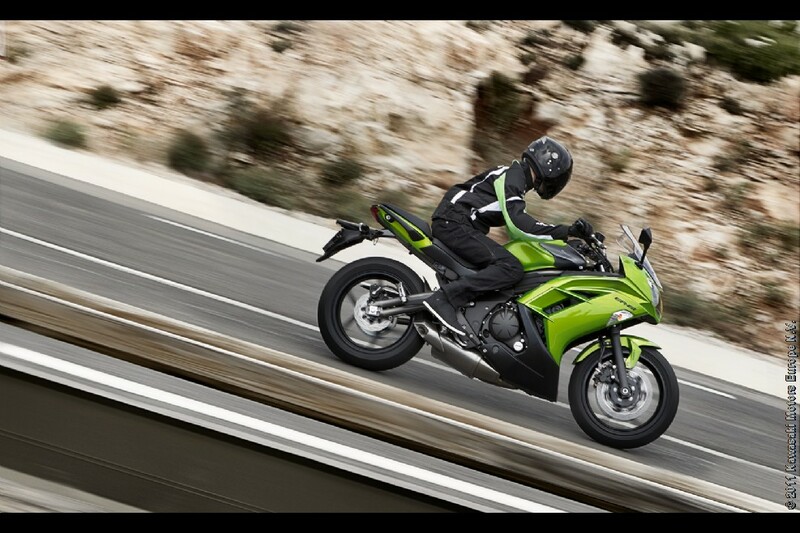 Kawasaki seems to have worked on improving the handling of the Ninja 650. 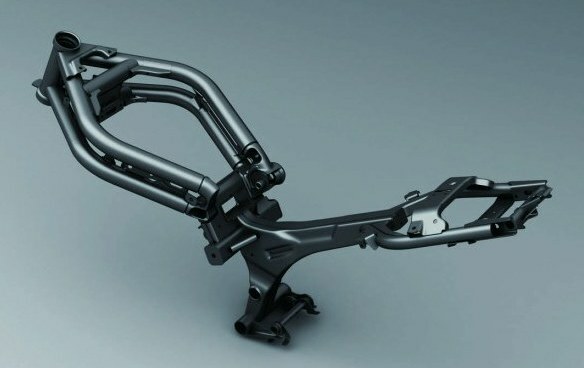 As a result the 2012 Ninja 650 gets a new Perimeter type frame fabricated out of twin tubes. 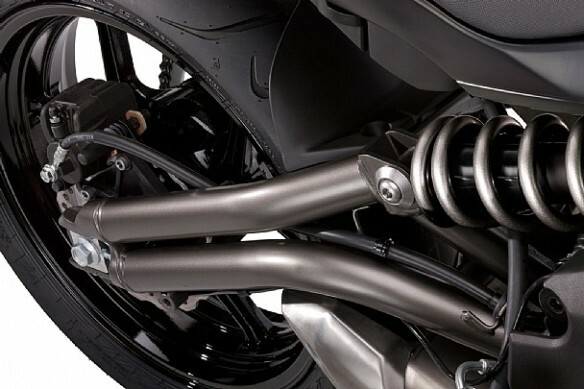 The swing arm also has a twin tube design which is shaped to complement the frame’s flex and rigidity characteristics. Both the front and rear suspensions have been calibrated for revised damping. 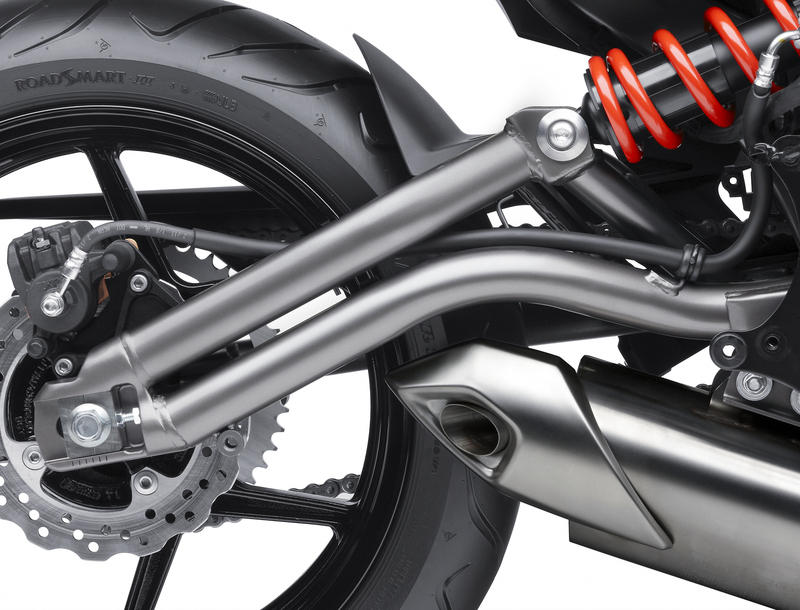 Also the suspension travel has been increased both at the front and rear for increased ride comfort. Kawasaki also states that they have upgraded the brake pads on both the font and rear. 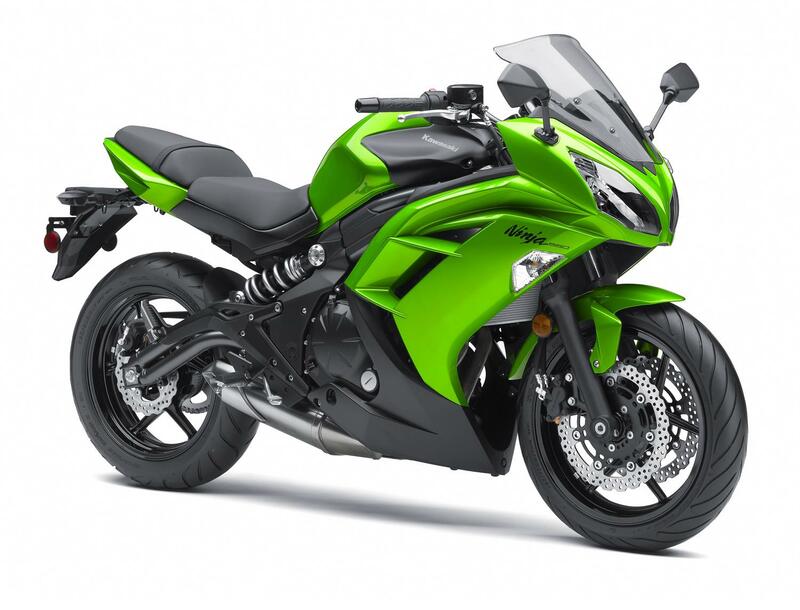 With all the changes to the chassis, I am expecting the 2012 Ninja 650 to be a better handling package compared to its earlier version. Usually the "R" letter is reserved for models which are great to ride around the race track. 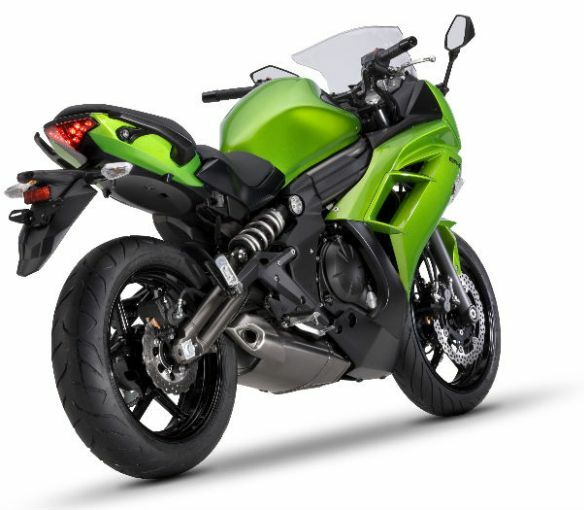 Looks like Kawasaki has dropped the "R" from the Ninja 650 for its 2012 upgrade. 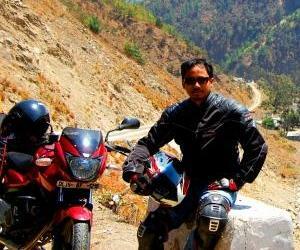 The 2011 Ninja 650R which I had ridden was far from being a track bike. 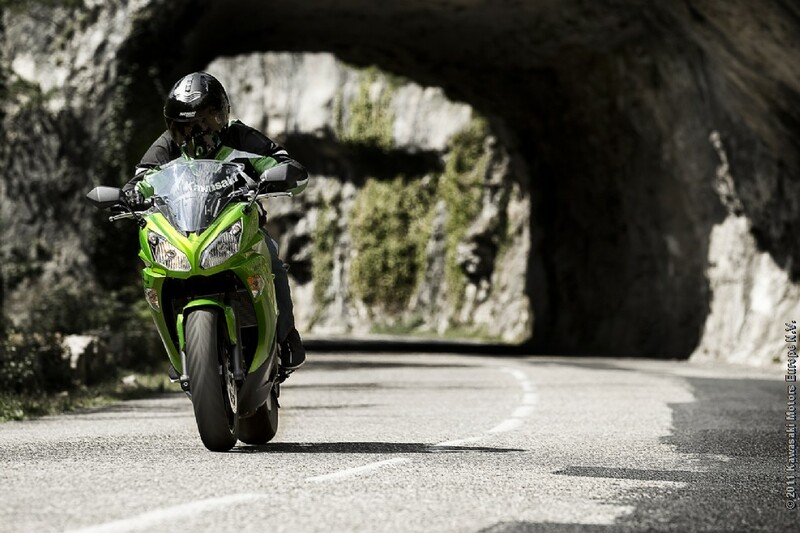 Even with a new chassis and upgraded brakes which should improve the handling of the Ninja 650, I welcome Kawasaki’s move to drop the "R" branding from the 2012 Ninja 650..!! After all why should every bike need to be a track machine..?? But the big question is, when would the 2012 Kawasaki Ninja 650 make it to Indian shores and would there be a price increase? Kawasaki has also upgraded the exhaust system, which now sports new connector pipes and higher volume 3 chamber muffler assembly for better mid-range performance. The new muffler looks better too compared to the previous version. As a matter of fact, mill has remained unchanged, it's only the changes around the mill that has made the difference. I would have surely loved to see the Kerb Weight coming down though. I wonder what would be going through the minds of the folks who were waiting for the bookings to be opened post Diwali. If I would have been in their shoes, I would definitely hold my horses back and wait for the 2012 version to arrive to Indian shores. The changes made to the 2102 version are definitely likable, specially the new frame, adjustments done to the suspension, the brakes and above the more comfortable seating. This might very well hit the post Diwali booking. and hey did you checked out the new ZX-14... killer eh?? 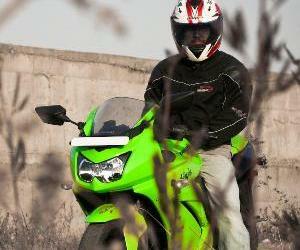 Yep, the ZX-14R seems to have the "Busa" in it's sights and a drag king. Just waiting for the Official Power and Torque figures for the ZX-14R to be out. 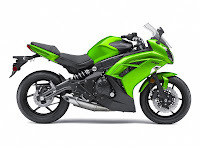 couple of months ago i had seen the older verion of kawasaki ninja 650R green color bike in vizag, the guy told me that it was his last delivery he was booked before the launch, and the probiking persons revealed that the new version on its way in the time of delivery. jus few months back 650R was launched y so soon an upgrade?? and the front headlights are not tat good(my point of view).. Myself Gautam from bangalore, i am bike crazie,love to study and live with these motoring heads :-) currently i am owning a Classic 350 , its a beauty with beast perfomance, simply love it...touring is never ending for me with my classic. 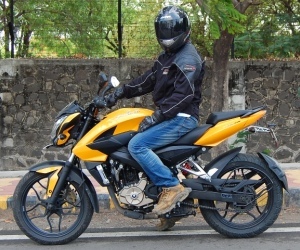 Mean while i am planning to get a step forward in my passion towards motoring, having plans to go for huge ones like Kawasaki ninja 650r or a hyosung gt650r.bit confused on both my budget in 6L max. need expert suggestion on this which of the both are good machines,not bothered about mileage, i am a pure biker who wants to live with it for a long tym,so pls suggest or share your opinions on this.. any other bikes in my budget i am open to it..